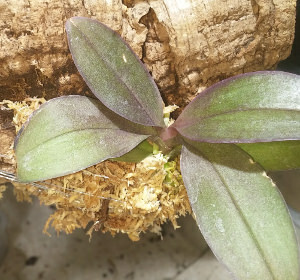 I was a bit nervous about purchasing this plant, as it was so tiny, one of the smallest Phals. I have, measuring only about 3" from leaf tip to leaf tip. 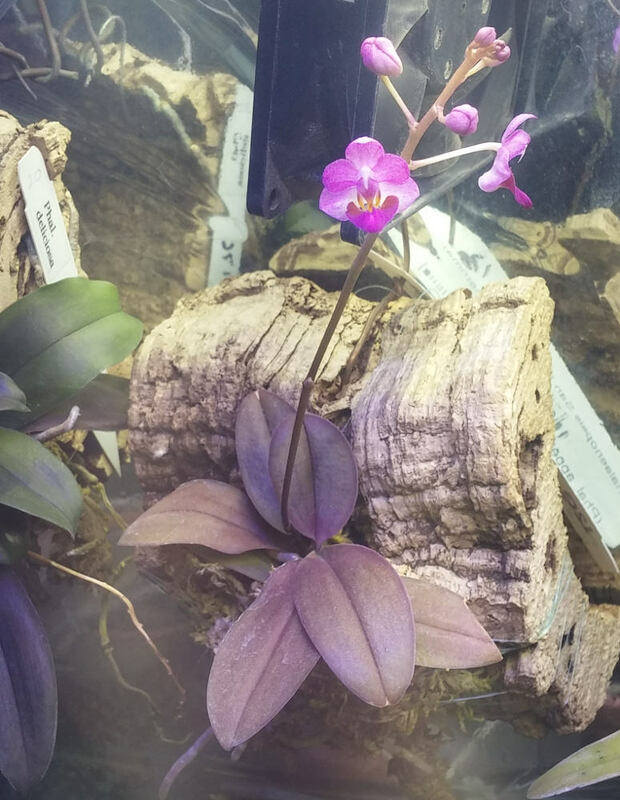 But it seems quite happy in my vivarium, and has quite the purple color to the leaves, and the flowers are about 1 cm in size. Sadly no scent. Congratulations; you are more brave than I! The plant looks happy in your vivarium set-up; how long has it been on that mount? I like it. I picked up the plant early Feb. and mounted it shortly after. I would never attempt to grow anything this small on a mount without a vivarium here in our 20% humidity winters... Even my much larger P. schilleriana and P. stuartiana were not thrilled with it, but handled it fairly well. I was looking at a P. lobbii before setting up the vivarium, and decided against it... I think I could do it now however. I will say when I was adding the new pictures to my logbook, I realized I may need to actually reduce the light some. 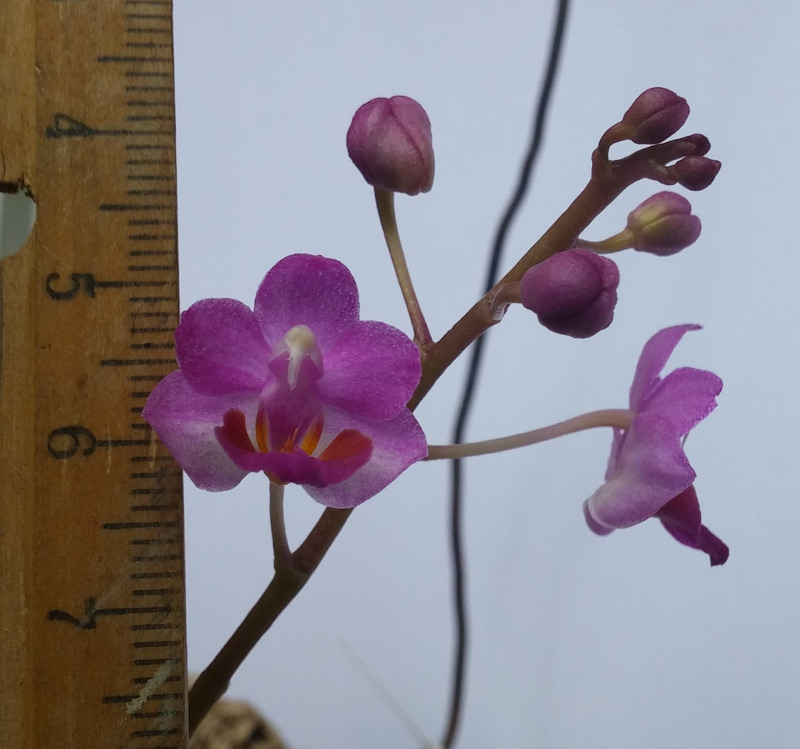 With this plant, I think the P. pulcherrima parentage gave it some light tolerance, but it is likely at the very high limits, as it wasn't as purple when I first acquired it.